Q: One of my goals is to build monster-sized forearms because I almost always wear polo shirts that stop at my elbows—and I tend to roll up my sleeves when wearing long-sleeved shirts. I’ve been doing a ton of wrist curls and reverse wrist curls but am not satisfied. How do I get those Popeye forearms? A: While my upper arms are not gigantic by any means, several years ago I realized that my forearms were not in proportion with my bi’s and tri’s, so I set out to fix it. Like you I added all kinds of wrist curls and did not get the results I was after. Around that time, ironically, I suffered an injury to my lower biceps that made it very painful to perform any type of curl with my hands in the supinated—palms up—position. 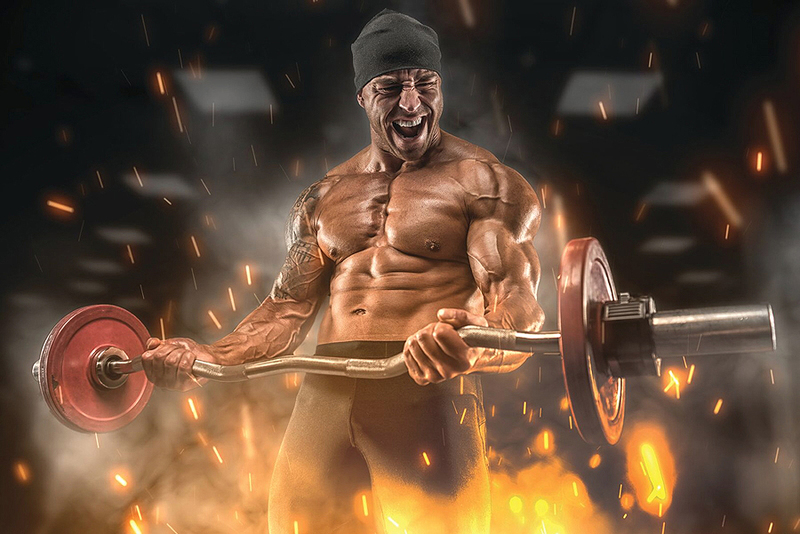 I was still able to attack hammer curls and reverse curls at full intensity and did nothing but those two forms of curling exercises for almost eight weeks. Can you guess what happened? My forearms blew up! My extensors and brachioradialis on both arms grew considerably more thick and gnarly looking, with greater separation and development from the elbow down to my wrist. When my arms were simply hanging relaxed down at my sides, my forearms appeared to be twice the size that they once were, and I received constant positive comments about them, especially as I leaned out. Now I make sure to do at least one hammer-type or reverse curl at every biceps workout, along with some form of wrist curl to keep the entire forearm looking full and powerful. Here is a Power/Rep Range/Shock forearm specialization program you can try so that soon you’ll be able to give Popeye a run for his spinach. Editor’s note: Eric Broser’s new DVD “Power/Rep Range/Shock Max-Mass Training System” is available at Home-Gym.com. His e-books, Power/Rep Range/Shock Workout and The FD/FS Mass-Shock Workout, which include complete printable workout templates and Q&A sections, are available at X-Workouts.com.